Fallen Patriots provides college scholarships and educational counseling to military children who have lost a parent in the line of duty. After government programs, the average shortfall in college funding for a child of a veteran that was killed or wounded in service is $25,000. Supported by its loyal distributors and end users throughout the US, Crosby will donate a portion of each clip sale to this honorable cause. 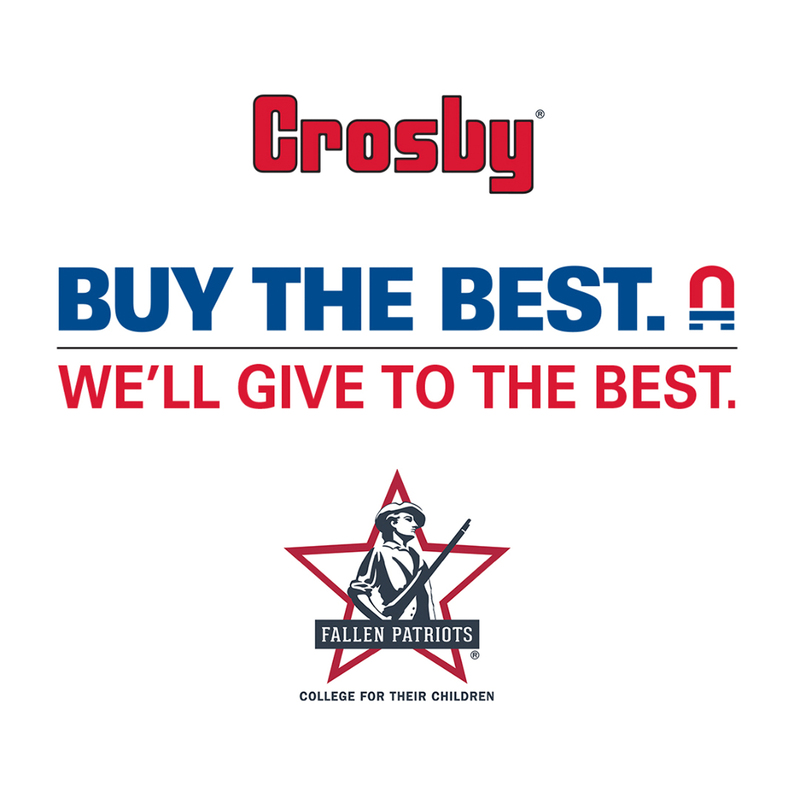 Every time a worker in, the oil and gas, construction, and manufacturing industries across the US use a Crosby Clip they can know that they are doing a small part to help secure a better future for children of veterans that were killed or wounded. With a US manufacturing footprint that includes plants in Texas, Oklahoma, and Arkansas, Crosby’s involvement with the country’s military stretches back to its earliest days, supplying shackles and other hardware for military equipment. Today, more than 50 veterans work in the company’s facilities, designing, manufacturing, and distributing the best rigging hardware in the world. Vanderslice explained that the wire rope clip was invented by Oliver Crosby in 1888 and marked the beginning of what has become the largest rigging hardware manufacturer in the world. The storied history, expansive range and their use across all industries make the wire rope clip the logical product to align with this important initiative. To raise awareness, Crosby has also launched a photo contest whereby end users can submit an image of an application featuring a Crosby wire rope clip and potentially be named as one of two weekly winners. Vanderslice explained: “The photo contest gives the millions of Crosby users across the US a way to show their support for Children of Fallen Patriots."